High moments of musical passion followed by relaxing pauses make this a great album from the start to the end. Noticeable the presence of a big variety of sounds, that don't break the linearity of the album. The evolved metal as i think it should be. This is my first review=), i got a little sneak preview with their new song "Sea Of Fate".. and i gotta say it's simply ROCKS!!! i will give it a 9 out 10 because it remains me of their old albums.. 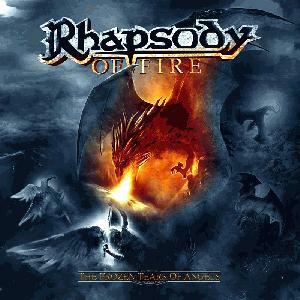 I have been fan of Rhapsody (of fire) since 2000 and this is how I discovered METAL!!!M/.. I think this album will be much better than Triumph Or Agony because TOA was a little bit "too" orchestrated and less speed guitar oriented.. but when im hearing "Sea Of Fate" I see a big difference.. Luca Turilli still got his majestic solo's and Alex Staropoli's too and Fabio Lione has a majestic voice on this song too.. I have big hopes for this new album (which i pre-ordered:P).. I think Frozen Tears Of Angels will be sort of like "Power Of The Dragonflame";)!! Nice job on the new song=)..